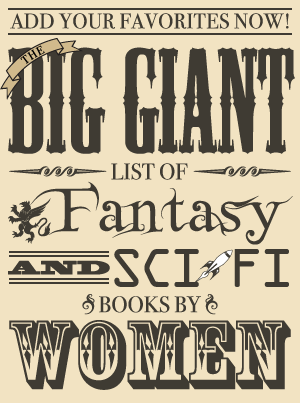 Range of Ghosts is the first book in Eternal Sky, an epic fantasy trilogy by Elizabeth Bear. It was just released a couple of months ago in both hardcover and ebook. The next book, Shattered Pillars, is scheduled for release in March 2013. After the death of the ruling Khagan, a bloody battle for succession has been reduced to two main contenders: the former Khagan’s brother Qori Buqa and Temur, a nephew who inherited his claim to the throne when Qori Buqa killed his brother. Following a battle he barely survives, Temur is woken by a horse he names Bansh and rides south to hide among clans where he will be safer from his uncle’s assassins. Though he manages to blend in with the clans, he and his uncle both know that the other survives since their moons still show in the Eternal Sky, so the hunt continues. Eventually, Temur’s camp is attacked and a young woman he has befriended, Edene, is captured. Temur determines to get her back and leaves the very next day to try to find her. In the meantime, the Once-Princess Samarkar of Rasan is undergoing the arduous process of becoming a wizard. In order to even have a chance of gaining magic, she had her ability to have children surgically removed. It is a dangerous procedure for a woman, and there is no guarantee that there will be results even if she manages to survive it. Regardless, even if it is unsuccessful, she will join the wizard caste and leave her life as a princess behind forever. While this lowers her chance of getting involved in the kind of succession battle that threatens Temur’s life, it significantly raises the chance of nasty encounters with undead cults. Range of Ghosts was one of my most anticipated books of 2012. For one, Elizabeth Bear is one of my favorite authors because of her lovely writing and intelligently crafted stories full of myth and wonder. Also, the way she described it in an interview I did with her in 2011 made me desperately want to read it. 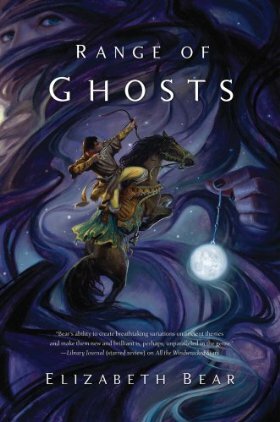 It did not disappoint, and I actually think Range of Ghosts is even a little better than my previous favorite book by Elizabeth Bear, The Sea Thy Mistress. She had chosen to trade barrenness and the risk of death for the chance of strength. Real strength, her own. Not the mirror-caught power her father, his widow, her half brothers, or her dead husband might have happened to shine her way. Range of Ghosts is set in a world packed with myth and history, but unlike many doorstopper fantasy books Bear’s skill allows her to create this world in a short, beautifully written tale. I loved how Samarkar and Temur both came from distinct cultures with palpably different histories, yet their stories still manage to mirror each other and create interesting parallels. Rasan’s princesses were not helpless but sturdy and determined, doing what they have to do to survive without complaining. They were not spoiled royalty, and Temur’s history has taught him to respect such powerful individuals. The princesses, like many of the people in this story, had prescribed roles within their culture. But one thing that I consistently see in Bear’s books is that the characters are not defined only by those roles. Nor are they are defined by a single overriding characteristic, but it is clear that they all have a purpose and will that goes beyond the lot they are handed. Samarkar is shown with a bit of a ruthless streak, and Temur is filled with grief, but neither of them are limited to those qualities as they are drawn as fully three dimensional people. And Bansh was the best horse ever. Magic in this world was given an intriguing twist as well. Rather than being the ultimate weapon that unbalances every battle, most wizards never attain any kind of great power and even tiny amounts require huge sacrifice. Some wizards never gain any magic at all, which just makes them more interesting. They are not viewed as failures and sent away, but instead become scholars or teachers and continue on in the order. Many people on the outside never even know which wizards have true magic and which do not. It is a practical, real-world tool for solving problems, and advanced knowledge can often be used to solve problems just as much as mystical arts. Wizards are not the only users of magic in this world, though, and when other forms of it show up they can be properly epic in scope. Range of Ghosts has a well-developed setting that makes you feel like you’re there with all the little touches filled with details you can sink your teeth into. It also has realistic and well-developed characters and beautiful prose. It may seem to move a little slowly on occasion largely because it seems to be setting up the rest of the trilogy, but it is a fantastic book and I’m looking forward to the next one.